Zildjian has come up with a way to save the relations between drummers and their neighbors. 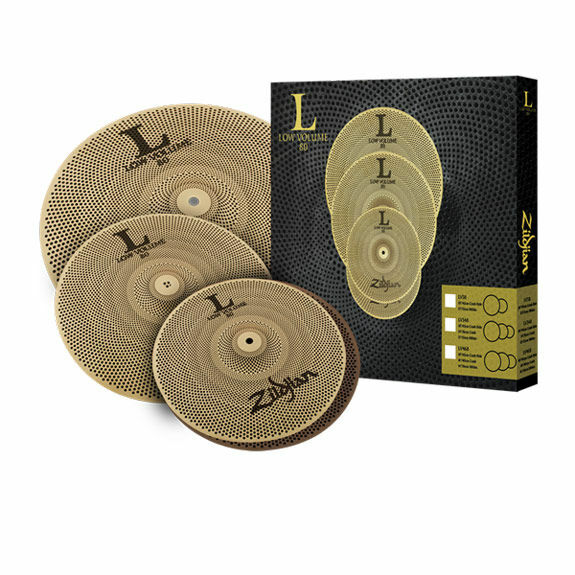 The Zildjian Low Volume Cymbal sets produce 80% less noise level than regular cymbals. Lower volume achieved without the use of mutes or dampeners will make many drummers, and their neighbors, very happy. Lower volume but still maintaining tone and feel is achieved through a combo Zildjian's new alloy and an innovative drill pattern in the cymbals. Zildjian tested and measured it's trial batches with a sound meter and compared the results to full volume cymbals. They kept testing until they got it right. To obtain a rebate, a consumer must submit a copy of their receipt directly to Zildjian via the online form or the mail-in rebate form. Check payments should arrive in 3-4 weeks.